Following trend of integrating wellness and technology, researchers at Harvard and MIT have developed a new, compact product to replace fitness trackers – smart tattoos. From wearable fitbits to self powered smart patches, most vital trackers have so far all required some sort of upkeep, were clumsy and relied on a stable wireless connection. The smart tattoo is based on ink which chemically reacts to various fluids in the skin that act as markers of your vital signs, and changes colors accordingly. Furthermore, the tattoos will not neccesarily be permanent, and the ink can be set to degrade in a certain period of time. The technology promises big advancement in the fields of fitness and medicine. In fitness, the smart tattoo could replace various vital tracking devices. Since nothing has to be worn, it allows for more freedom of movement, and since it is implanted in the skin it can track things such as blood glucose levels which are not so easy to track with wearable devices. Glucose levels can be especially important for athletes, as keeping them at a particular level can increase the efficiency of exercise and minimize exhaustion. In medicine the smart tattoo seems as a promising alternative for diabetics. So far, checking blood glucose levels has been a nuisance requiring blood, which many find painful and annoying. With the new ink patients could have a permanent tracker on. The technology can also track heart rate, and thus opens new management pathways for heart disease sufferers. In conclusion, the smart tattoo is an innovative technology with wide application in fitness and medicine. It may allow athletes for higher performance due to more precise measurements and its compactness. The technology also promises higher living standards for those living with diabetes and heart disease, by removing certain uncomfortable measuring devices from their life. Recently, a French startup has introduced Sencrop – data platform and a service marketplace. As today, agriculture decisions rely more and more on data analysis, company claims that it wants to be a one-step shop for farmer’s digital needs when it comes to leveraging data. Stations measure humidity, temperature, rainfall, windspeed etc. It also gives farmers an ability to make better agronomic decisions (ultra-local weather information), and interact with their partners (streaming data). Each station costs from $340 and $570 (you can install it by yourself – it’s very easy) and you can have as many as you want. Then, you have to pay annual subscription to access the platform. The cost of this is between $170 and $340. 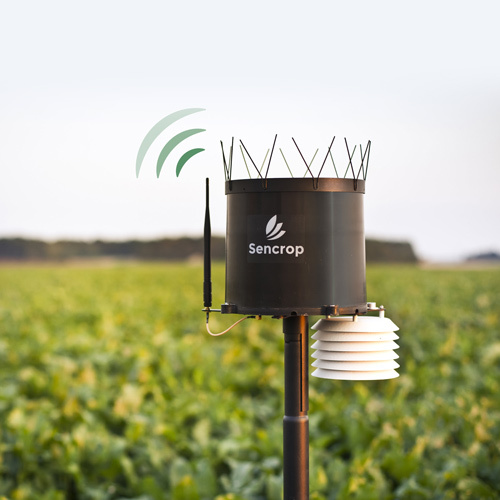 Sencrop will predict the next steps that have to be taken to live regarding to sensors. What the company wants to achieve is to create a full-fledged marketplace in which communication between companies and their cooperatives can be the most efficient. You could easily subscribe to an insurance product or order seeds. Sencrop also wants to create a community in which all farmers have combined data points. If people around you are also using Sencrop, you will get a better forecast on what to expect. It also wants to expand to the new markets (they started with potato crops, vineyard and cereals but now you can find all kind of profiles on Sencrop). Sencrop won the top award for its high-precision agrometeorological station and platform at the 2017 SIMA Innovation Awards ceremony. In Europe, over 5,000 farmers are already using the platform to monitor their farms. What do you think, will Sencrop be popular in a few years? Will it be a necessity for modern farmers? Or will it be replaced by some different innovation? Microsoft on Thursday released an ad that presents the Xbox Adaptive Controller. The controller has been designed for players with disabilities so that they can play as quickly and efficiently as other healthy players. The device has two large, programmable buttons and 19 jacks that can be connected to various accessories, depending on the needs of the player. For example, on an ad you can see how a boy uses a controller to which “pedals” are connected to facilitate his game. “No matter how your body is or how fast you are, you can play,” one player says in the ad. Microsoft shows that it is not only a giant corporation, but also is tugging at the heartstrings. Since its first Super Bowl commercial in 2014, Microsoft has presented several other works that it performs to enable people with disabilities or other disorders to live normally. It was, among others, an iPhone application for blind people and Office improvements for people with dyslexia. I think that creating new solutions and devices for people with different needs is very beautiful and I am glad that such a huge company as Microsoft has built a controller so that children and adults with disabilities can enjoy the game as well as their healthy co-players. What do you think about this project? Let me know in the comment. E-Cigarettes, the best way to quit smoking? 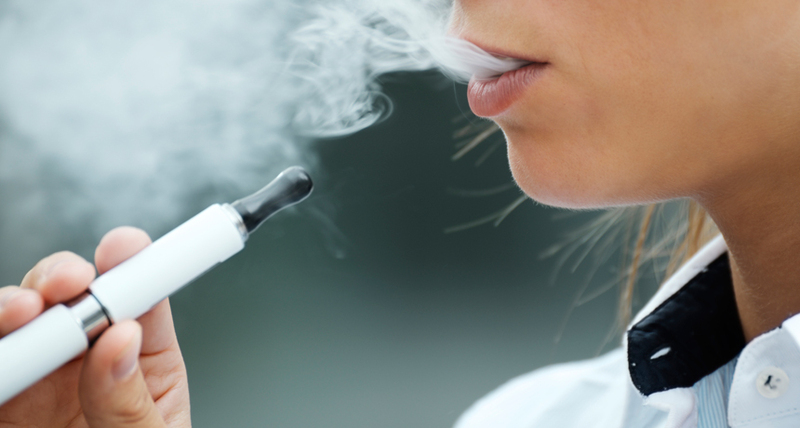 Ever since e-cigarettes were introduced to the market and got really popular, there has been a heated debate about their influence on smoker’s health. Although most of the health researchers agree that they are definitely less harmful than regular cigarettes. New research published in the New England Journal of Medicine points out its positive use, when it comes to quitting smoking in general. It seems that people who are ‘pro e-smoking’, are winning the battle right now. 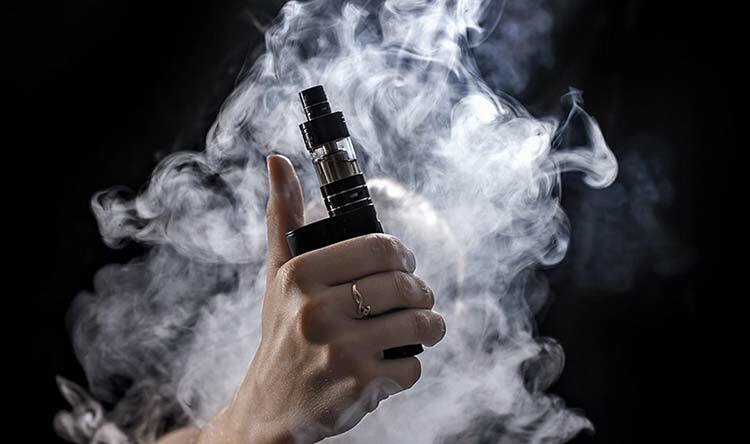 Research that has been published in New England Journal of Medicine indicates that people, who tried quitting smoking by using e-cigarettes rather than usual nicotine replacements were almost twice more likely to quit smoking. Frankly, I’d say that these results are quite ridiculous (in a good way), but let’s go over how this study was conducted. Almost 900 smokers that had gone to ‘quit-smoking’ centers were randomly split in half and were treated with two different approaches. The first group was given three months worth of supplies such as nicotine patches or gums, accordingly to their preference. On the other hand, the second group was give a ‘vaper starter kit’, which contained a e-cigarette and some e-juices. Apart from that both of the groups had free weekly counselling in order to make the change in their lifes more likely. Also to truly know, whether they really quit smoking or not, all of the participants had their carbon monoxide level in breathing air, regularly checked. Just in the first few weeks, there has been a noticeable change in the second group, most of the participants didn’t feel that urge to smoke a cigarette, they also weren’t so irritated and didn’t have any issues with focusing. This are some really good news, as these factors are concerned as hardest for smokers to overcome, when it comes to quitting. This trial research was conducted for a year and by the end of it, they had some surprising results. It turned out that 10% of people in first group successfully quitted smoking, whereas in the second one the percentage came out to be 18%, which is quite shocking. Although we can’t just talk about the positives of e-cigarettes. They are still hazardous for our health as they also contain harmful substances that can be found in regular cigarette smoke, but on lower levels. Moreover, in e-juice there are also high levels of nicotine which is really addictive. There was also research done in California, that indicated that average e-smoker consumes more nicotine than regular smokers. As for now, according to multiple health organisations like FDA (US), e-cigarettes aren’t formally yet the ‘approved’ way to quit smoking. They are not regarded as ‘standard cessation treatment’. Although with other trials in the future like the one described in this article, this can change. What’s your stance on e-cigarettes ? What do you think about this kind of treatment? Is telepathy becoming a reality? MIT’s (Massachusett’s Institute of Technology) Lincoln Laboratory has developed a technology that uses lasers to vibrate moisture in someone’s ear, resulting in a whispered message. This works based on a “photo-acoustic effect in which water vapour in the air absorbs the laser’s emission causing it to vibrate at an audible frequency”. This has been tested to be the first laser that is harmless for both the skin and eyes. It has so far proven to work from several meters in distance, and directs the information directly into someone’s ear. There has already existed technology that sends sounds in a narrow field with the use of speakers or ultrasound, but this method requires the listener to be a short distance from the source. On the other hand, technology based on a laser provides an advantage that it can be utilised at a much longer distance. The possibilities of this technology are boundless. This includes private uses like being able to communicate with someone privately and efficiently, but also for government and army uses which require very secure channels for transmitting confidential information. In the future in may provide opportunities for disabled people who are blind, mute, deaf or suffer from other diseases that may be restricting. However, this laser also has both drawbacks for all people, and advantages for companies. It is said that this will be utilised for sending advertisements directly into people’s ears. It may seem like a very effective method to be used commercially, but for the receiver, that would be annoying and something unavoidable. Nowadays ads are everywhere: YouTube, Spotify, games, newspapers, TV, social media, etc. and now it might be taking a step directly into our brains. How will this be regulated, controlled, or avoided? Me personally, I detest ads and I always skip them when I have a possibility or I simply find ways to avoid them. These days they have become extremely persistent with them turning on during every video that I play on YouTube, when I watch TV, go to the cinema, read news online, or play a game on my phone. Companies always find newer and more effective way to advertise, but for something like this to enter into a person’s ear unannounced would be completely out of hand. The idea of talking to someone using telepathy sounds cool, but I don’t think that it’s worth it if it’s commercial use is the consequence for this. Although this is not exactly telepathy, but it is the closest that humanity has gotten to that, and one day in the near future, it may become a reality. The history of the first supersonic flights dates back to the 60s of the last century. However, until nowadays technology and regulations allow to use their potential. Boom Technology, an American startup is working on the construction of the new supersonic plane. Their mission is to bring back the supersonic travel and make it widely affordable. Supersonic flight has existed for over 50 years, but the technology to make it efficient and mainstream has only recently been accepted by regulators. We’re combining materials and technologies proven on other passenger aircraft into a breakthrough new design, giving passengers and airlines a revolutionary speedup. Supersonic aircraft is able to fly faster than a speed of sound which is Mach 1. Aircraft presented by Boom Technology should reach the speed Mach 2.2. This technology allows shortening the flight time by half. Will supersonic flights become a norm? Overture has 55 premium seats with large personal window. Places are designed in a way that guarantees privacy, convenience and conducive to productivity. The overhead storages are removed and replaced with locker located under the seat which allows easier access to the luggage. What is the most important, Overture significantly reduces flight time in comparison to currently available air connections. Flight to London from New York can last 3h 15 min instead of 7h and from Sydney to Los Angeles 6h 45 min instead of 15h. Moreover, the cost of such a flight is to be similar to the flights offered by subsonic business class flights. The company has already built the one-third scale, two-seat supersonic demonstrator called XB-1 Baby Boom. Boom Technology claims that “XB-1 is the first independently developed supersonic jet and history’s fastest civil aircraft.”. During the flight test in 2019 form, Mojave Air & Space Port in Southern California Baby Boom should maintain March 2.2. An era of supersonic flights is almost here. It has not been possible on a massive scale to cover huge areas and such a short time. Soon it will be standard available for everyone. What will be the next step in improving travel quality? Recently Nvidia (one of the biggest chip producers) created a project using GANs neural network. Basically, the programme generates new faces of people, who never existed. It uses data which was fed initially into it and uses it to create a new face. The face features elements of chosen age, skin color or even details like freckles. The video below shows how the faces are generated using sample photos. Personally I’m amazed with the technological progress which happened within the last 3 years. This technology will definitly be used in video games in the upcoming years. What’s more, the use of GANs neural networks is still at its very beginning but it will have more usage with time. I think it will be used for example to replace interior decorators in the spectrum of the next 5 years. On the other hand it will also boost the quality of deep fakes and will definitly be used to manipulate data. What do you think? Let me know what are your thoughts?Personally i’m amazed with the technological progres which happend within last 3 years. This technology will definitly be used in video games in few years, What’s more the use of GANs neural networks is still at its very begining but it will have more usage with time, for example i think it will be used to replace interior decarators in the time of 5 years. On the other hand it will also boost the quality of deep fakes with will definitly be used to manipulete data. What do you think let me know. Recently a post went viral on 9to5mac about a FaceTime breach which allowed you to listen and see the person you were calling without them knowing or accepting the call. But this post is not about the bug itself, it’s about Apple’s response. On 19th January Michele Thompson’s 14 year old son made this discovery and a day later his mom tried reporting the bug to Apple. She sent a video, emailed, faxed them, made posts about it on Facebook and Twitter, but to no avail. Apple decided to disable Group FaceTime calls after more than a week after the report made by Michele T, on Monday 28th of January. They announced to have it fixed later this week. The bug is now branded as FacePalm and got pretty popular so beware what you say when someone calls you. On top of that, a lawsuit have been filed towards Apple by a Houston Texas-Based Lawyer who claims that the exploit enabled an unknown entity to eavesdrop on his private conversation with a client. Whatever happens in you iPhone, stays in your iPhone. If an exploit like that went through testing and got released it makes me wonder how many more infectious bugs can be out there to discover and used for a wrong cause. The infamous trolley problem is constantly in our lives. Imagine that you are standing next to some tram tracks and you see a train speeding straight towards five people who are tied to the track. However, you can change the direction of trolley by pushing the lever but there is one person tied to track. What do you do? It may or not surprise you that the answer differs according to nationality, gender, age and whether the decision is just hypothetical or actually involves real lives. So, would you pull the lever, leading to one death but saving five? 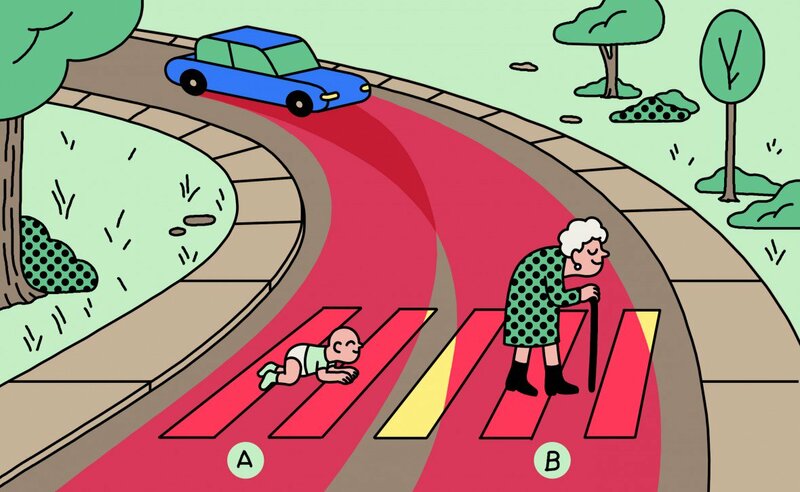 A famous ethical dilemma was recently applied by MIT researchers to the self-driving cars world. In 2014 they created an experiment called Moral Machine. The idea was to create a game-like platform that would crowdsource people’s decisions on how self-driving cars should prioritize lives in different variations of the “trolley problem.” In the process, the data generated would provide insight into the collective ethical priorities of different cultures. After four years they got millions of answers and they did not expect such major feedback. The analysis of collected data can be found in new paper ’Nature’. If autonomous vehicles will become our day to day reality, society will have to deal with brand new issue about which lives to prioritize in case of a crash. The Moral Machine tested different variants similar to trolley problem: humans or pets, more lives or fewer, pedestrians or passengers, young or old, fit or sickly, women or men, higher social status person or lower. How the decision is affected by the cultural background of decision-making person? Studies showed that countries in which the culture is more individualistic are more likely to spare young over old. For example, people from countries like Taiwan and China. Participants in Latin America countries, were more likely to spare the young, the fit and the higher status individuals. Across the globe were few trends which are repeatable, save humans over animals, more lives over fewer. In the last few years more people had thought about the ethics of AI. It can lead to various consequences on different cultural groups. Of course there is no „correct” answer to the given question. However, it is undoubtedly problem in self-driving cars and crashes. What are your thoughts about it? How would you solve this dilemmas?